So many people these days are looking to work as sole proprietors or start businesses on the side that can add money to their households without a lot of overhead. But finding an industry or skill to get into can be difficult. We’ll be profiling some easy start-up ideas for entrepreneurs from time to time that can be run from your home with just a good business plan and some research. Calligraphy can be quite profitable and doesn’t take much startup capital. It is very conducive to being a home business because it can be done in a small area, such as a home office, and generally sees a steady demand. 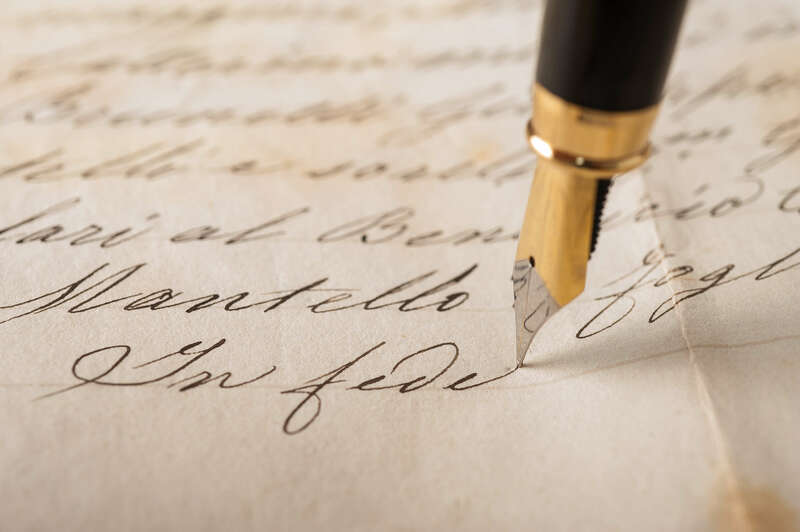 In this age of people printing anything and everything on their home systems, many consumers still seek a calligrapher to hand write elegant correspondence, invitations, menus, birth announcements and many other specialty items. The main components of becoming a qualified calligrapher are proper handwriting skills, a steady hand, and practice to become familiar with the different fonts and styles. Practice will cost you nothing but time and will offer much in the way of building your skills. The right amount to charge for your work is something that you will need to calculate by checking other calligraphers’ prices in your area, keeping up with the amount of time and effort you put into each order and knowing what you require to make a profit for your business. Many calligraphers eventually gather a selection of stationary and other stock to offer, but clients most often provide cards or invitations of their own choosing. It is really up to you whether you want to expand into the sale of paper materials. Develop a portfolio of your work, showcasing as many different examples and skills as possible. Plan to keep it with you, always ready to show prospective clients your excellent skills. Photograph completed work to continuously update your portfolio. You will need a business card. It should be as striking and unique as you can make it because it will be one of your best advertising tools. Carry plenty of them with you to leave with friends, associates and in local businesses. Calligraphy is sort of an “on the go” type of business. That means you should always be prepared to take an order when you are out and about and have a sketch pad ready to write details and requirements of the finished products so that you and the client have an understanding of what is expected. If you enjoy writing, attention to detail and interacting with the public, calligraphy may your path to a profitable, creative business future.